The housing market in North Carolina has stabilized and continues to be on the upswing! That’s great news for Triangle buyers and sellers who have been dreaming of selling their current home and moving up to the home they’ve always wanted. Current market numbers support those plans, and there has never been a better time to trade up. There is strong demand from buyers: Purchasing a new home contingent on the sale of a current home can be troublesome. Luckily, pent up demand has flooded the market with buyers who are ready, willing, and able to buy. Sellers who wish to divest themselves of one home before purchasing another will have an easier time doing so right now. There is less competition from sellers: Housing supply is still historically low. There are currently not enough homes on the market to satisfy all of the buyers. However, home values have risen, and many homeowners who previously wished to sell but couldn’t (due to negative equity situations) are now financially able to sell. More homes will be coming onto the market in a very short time. Housing prices and mortgage rates are predicted to rise: The bottom of the real estate market has come and gone. Nonetheless, prices and interest rates are still relatively low, but will only remain so for a short time. Now is the time to lock in a low mortgage rate and take advantage of increased buying power. Waiting will end up costing more, in both down payment and mortgage payment. It’s time to make a lifestyle change: There are many reasons to buy or sell a home, and when it comes down to it, most of them aren’t financial. Perhaps more space, a more desirable location, or a shorter commute to work or school are important. Sometimes, life necessitates a change regardless of what the real estate market is doing. Luckily, the numbers favor moving up at this time. Selling one home while simultaneously buying another can be hectic and complex, and homeowners are often hesitant to put their families through the stress of a move. Flat Fee Realty wants homeowners to know that market conditions are excellent right now in terms of moving up to a dream home. Are you looking for a great real estate agent to help you navigate the ups and downs? Give us a call today! It’s no secret that the spring and summer are most popular seasons for real estate sales in the Triangle and Central Carolina area. Beautiful North Carolina weather and long daylight hours mean that homebuyers are out and about in full force. In contrast, most sellers will face a few challenges when placing a home on the market in the late fall or winter season. 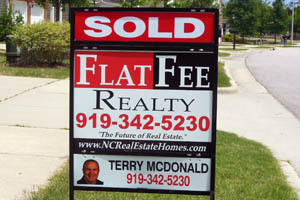 Flat Fee Realty wants sellers to be successful no matter what time of year they are selling. Invite buyers in out of the cold: Be sure to create a warm and inviting experience when showing the home. Make sure all lights are on, that the inside heat is comfortable, and even light the fireplace if possible. Consider using aromas that evoke relaxation, like cinnamon or apple pie. Use the holiday season to an advantage: Appeal to buyer’s emotional side by helping them envision spending the holidays with their family in their new home. Stage the home with all-purpose holiday decorations, like potted poinsettias, twinkling white lights or evergreen garlands. Consider a pre-listing inspection: A seller’s inspection brings any potential issues to light and allows for their resolution early on. The holiday season tends to prolong a closing process already prone to delays. Don’t let last minute maintenance issues postpone the transaction. Slower processes create buyer’s remorse. Avoid liability: Winter weather can create hazardous conditions for buyers and sellers. Keeping steps and walkways snow and ice-free to prevent slips and falls. Protect against maintenance issues (like frozen pipes or falling tree limbs) to ensure the home remains in marketable shape. Price correctly: Although winter buyers may be more motivated, there are definitely fewer of them. To attract the most buyers, start out with a realistic asking price. Remember, homes that undergo several price reductions usually sell for much less than if the home was priced correctly in the first place. With the right sales strategy (and a great Flat Fee Realty Agent) winter can still be an excellent time to sell a home. Cool weather buyers tend to be more motivated, and there is less competition, since many Triangle sellers often take their homes off the market until the warmer months and spring. Regardless of when you sell, Flat Fee Realty wants all sellers to land the best deal possible, no matter the time of year. 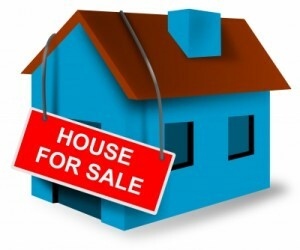 Wondering if November and December are is the right months to sell? Give us a call today!